The MDS Orbit Platform supports a diverse portfolio of industrial unlicensed wireless modems and routers to extend network coverage in various spectrum and geographic conditions. MDS Orbit’s unlicensed 900 MHz frequency uses proprietary state-of-the-art Frequency Hopping Spread Spectrum (FHSS) algorithms to offer low latency networking in the 900 MHz unlicensed spectrum with effective interference avoidance. The MDS iNET Series is an industrial wireless solution that provides long distance, unlicensed communications allowing users to interface with Ethernet and serial controllers. 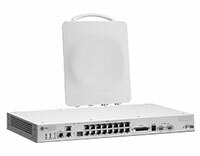 Comprised of the iNET 900 and iNET-II, the iNET Series offers the best balance of speed and range to enable a wide variety of applications requiring higher data capabilities than typical communication systems can provide. Today’s SCADA and Telemetry systems must transmit large amounts of data at ever increasing speeds. 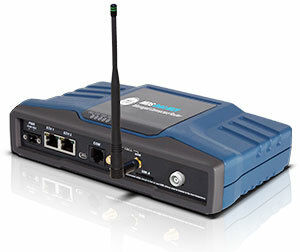 The MDS TransNET uses frequency hopping technology to provide a flexible wireless serial solution. Featuring a sleep mode that is well suited to solar-powered applications, store and forward capabilities, and unparalleled robustness, the TransNET sets new standards for reliable, long range wireless serial data transmission. The MDS entraNET is an exceptionally long range, unlicensed device offering robust performance in extreme environmental conditions. Sleep modes keep power consumption low for battery and solar applications. Both Ethernet and serial devices can communicate in peer-to-peer mode and connect to an IP network—all with multiple layers of cyber-security. The end result is reduced cost of deployment and a low cost of ownership for systems that bring mission-critical, revenue-generating data from assets dispersed over great distances. The unlicensed MDS NETio family provides flexible I/O signal communication solutions on two levels. Protocol addressable I/O allows direct communication with remote I/O accommodating IP/Ethernet and serial protocols, without the need for a PLC or RTU. I/O extension allows regeneration signals between remote I/O points and monitoring/control devices, providing location-specific distance and point count requirements. The MDS WiYZ™ products combine technology and function to provide a comprehensive range of solutions for data acquisition and networking requirements. Whether your application requires the collection of data from remote, unpowered sensors or deployment in areas with obstructed communication paths or a bridge for data using the cellular infrastructure to your enterprise network, the WiYZ products provide simple, reliable and cost-effective solutions. The MDS Intrepid products offer long distance, high capacity, point-to-point solutions that operate in the 2.4 and 5 GHz bands. The Intrepid is ideal for high capacity mission-critical communications such as backhaul.